While we have so many great things to list about living here in the Coachella Valley. Some might list one thing that’s hard to do here in our desert….find the Christmas spirit. And who can blame you, warm weather, sunny skies and ….NO SNOW! While we enjoy our almost year round mild weather, some look to find ways to get into the “spirit” of the holidays. Here’s an idea, visit a Magical Christmas Town. Here is a list of 9 Southern California Enchanting Christmas towns to visit, Eat, Drink, shop, stroll and get that holiday spirit jump start you’ve been looking for. 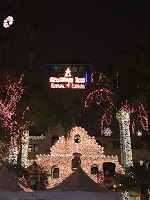 #1 – Downtown Riverside – The Mission Inn Festival of Lights brings a magical Christmas to downtown riverside. Carriage rides, dining, shopping and light galore. #2 – Solvang – A holiday stroll through this European village will fill you with Cheer and delight. Take the holiday trolley ride through town or walk the village. Quaint shops and restaurants that are spiffed up for the holidays. #3 – Anaheim – OK, this is a no brainer….Disneyland at Christmas. Festive parades, Santa on his sleight and fresh Christmas snow dropping from the sky. Holiday magic truly exists here. 4. Wrightwood – This quaint little town is Christmas all year-round. During December things are kicked up a notch, especially when it snows. Explore shops and make sure to stop by the Evergreen Cafe where the holidays come to life with colorful holiday display ready to put you in the Christmas mood. #5. 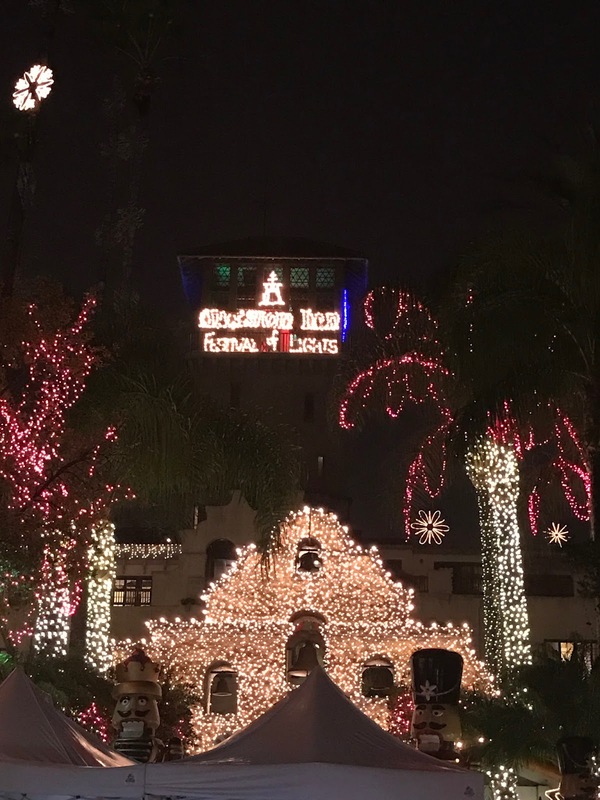 Coronado – Be sure to visit the Hotel Del with the towering Christmas tree in the lobby, do a little ice skating at the outdoor rink and don’t forgot a the cup of hot cocoa. #6. Temecula – Wine and Christmas? Why of course!!! During December, Temecula transforms into a winter wonderland. Visit and join in the Winterfest celebration that runs til the end of February. Enjoy activities including ice skating, festive shops and dining. #7 – Altadena – Drive through historic Christmas Tree Lane to see the holiday lights or stroll down Mendocino Lane to experience the historic Balian House all aglow in thousand of Holiday lights. #9 – Big Bear Lake – Let’s get snowed in! Great destination from our desert to pure white snow. Go Experience a white Christmas, with lots of shopping and dining options. And oh…..Skiing. What does the statement “HUD Guidelines 24 CFR 206.125″ mean in MLS Real Estate listings to Buyers?